It’s a given that time will take a toll on our skin, and no one can escape this unfortunate reality. We are constantly making facial expressions, and these contractions of the facial muscles stretch the skin. The middle layer of the skin, called the dermis, contains elastin fibers that give it the ability to return to its original form after being stretched. Over time, the dermis naturally loses elastin, and fine lines and wrinkles develop. These signs of aging are especially noticeable on people who smoke cigarettes and sun bathe often, as these habits drastically damage the skin’s resilience. For those who are already noticing signs of aging on their skin, try these tips for improving the appearance of existing wrinkles and keeping future ones at bay. Topical retinoids, such as the Tri-Retinol Complex™, work by penetrating the skin’s surface and rejuvenating it from the deep layers upward. Retinoids stimulate your skin’s natural production of collagen and promote cell turnover to fight wrinkles and produce beautiful, radiant skin. 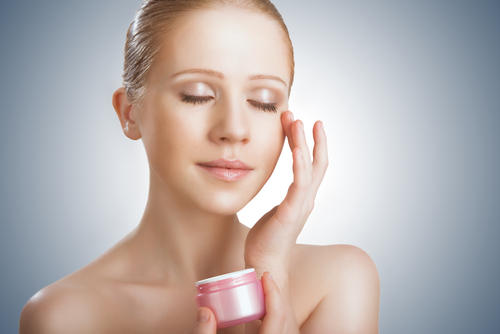 When the skin is dry, wrinkles are more pronounced, and our skin retains less moisture as we age. Moisturizers, such as SkinMedica® Ultra Sheer Moisturizer and NEOCUTIS LUMIÈRE Bio-restorative Eye Cream with PSP®, hydrate and plump the skin to reduce wrinkles. To prevent existing wrinkles from worsening and future wrinkles from developing, use a broad-spectrum sunscreen with an SPF of at least 30 every day. The JOURNÉE Bio-restorative Day Cream with PSP® Broad-Spectrum Sunscreen SPF 30 and Daily Physical Defense™ SPF 30+ Sunscreen are great products for moisturizing the skin and protecting it from the sun’s harmful ultraviolet rays. After moisturizing your skin but before applying foundation, use a makeup primer as a base to fill in wrinkles and fine lines. This base will soften the appearance of wrinkles and keep your makeup looking fresh longer. Here at the Wise Center for Plastic Surgery, we offer a variety of skin care products and aesthetic treatments to drastically reduce the appearance of dark spots and wrinkles. Fillers and injectables are also safe and effective ways to treat early to moderate signs of aging without surgery. If you have significant wrinkles and sagging skin, Dr. Wise offers the Wise Revitalize Lift and the Wise Signature Lift for complete facial rejuvenation. Dr. Jeffrey B. Wise is one of the few surgeons in the country who is a double board-certified facial plastic surgeon. His extensive education, training, and experience in facial plastic surgery have given him comprehensive knowledge of the structures of the face and how to improve them. If you are interested in improving the signs of aging in your skin, please call (888) 295-6933 or fill out our online contact form today to schedule your consultation with Dr. Wise.